The fashion system is apparently broken. But what is “the system”? Did it ever really exist? There is an assumed language in fashion right now. It talks of the collapse in the fashion system. It uses words like “broken” and “crisis”. Too many collections a year. The impact of social media on the catwalk. The rise of “see now, buy now” collections, in which product is made available straight after the show is done. It is a period of change and upheaval. But when was fashion ever not in a period of change and upheaval? The contemporary fashion industry likes to believe it has always existed. It loves words such as “legendary”, “iconic”, “heritage”, “forever”, even though few of the brands have been around more than fifty years, some just under a hundred. It is as if fashion has always been this way, and always will be. Which is clearly not the case. When people talk of “the system”, they usually mean the twice-yearly shows which take place in New York, London, Milan and Paris. How long has this “system” actually existed? Lets try and work it out. 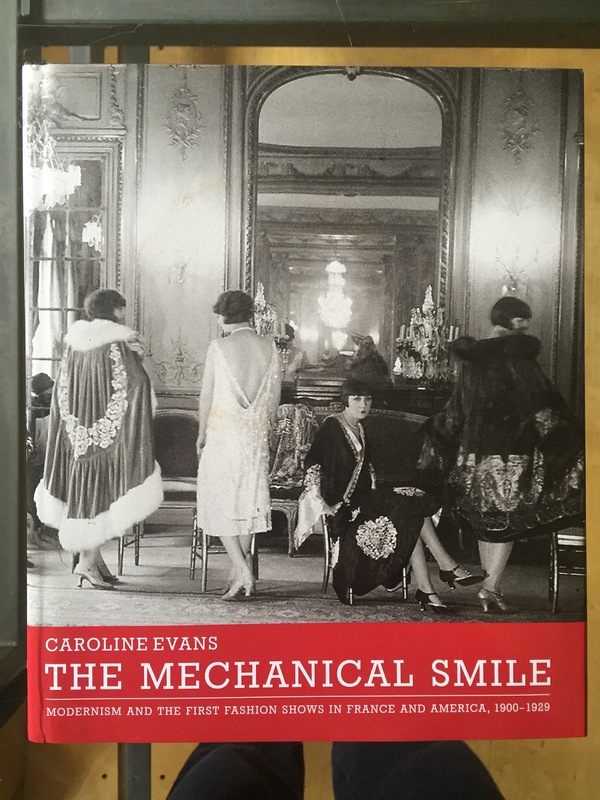 A couple of years ago, Caroline Evans published The Mechanical Smile, an excellent book on the first fashion shows. 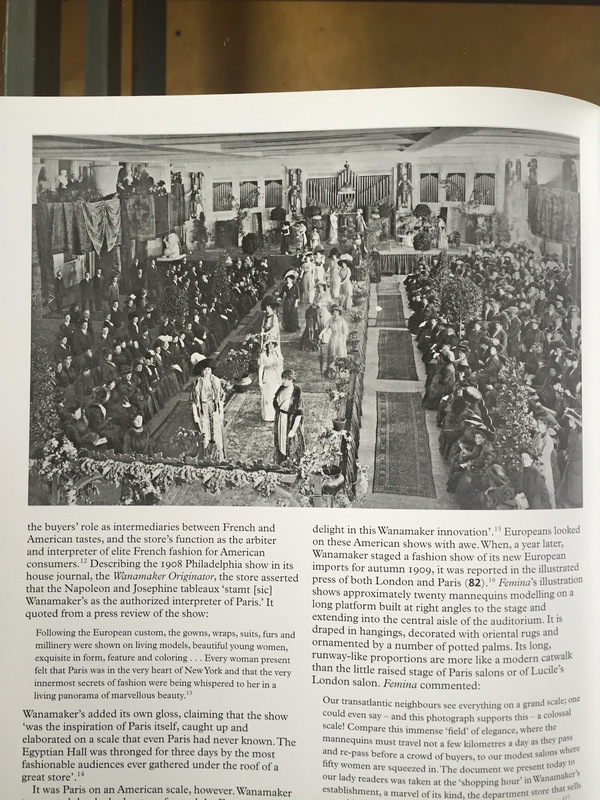 Evans states it was Lucille of London who “created the fashion show, or ‘mannequin parade’, a cross between an elite party and a theatrical event”. Her shows were to clients, society figures, and journalists. But from the beginning, models were also public facing. Parisian couture houses would send models to the races to parade their gowns. 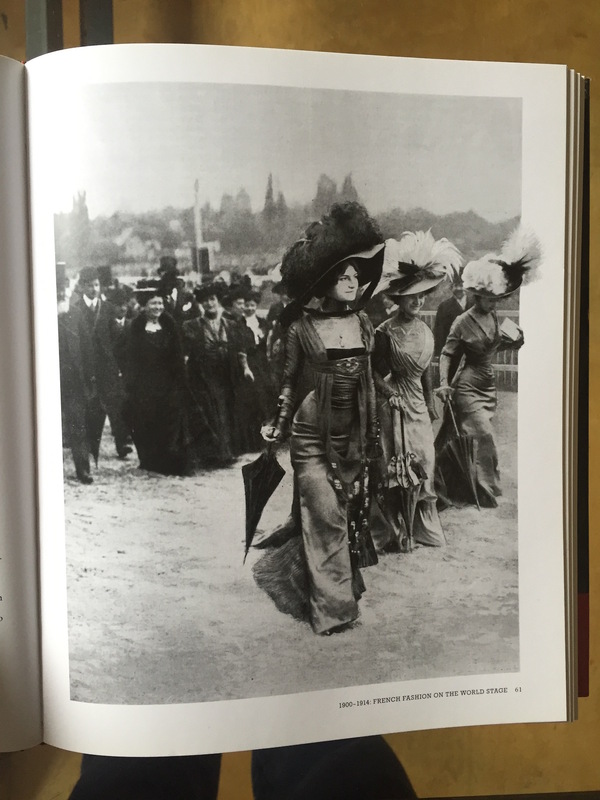 Three models in gowns by Margaine Lacroix at the Longchamp races in 1908. Evans states that in the United States, fashion shows “rapidly became part of the American cultures of consumption and entertainment”. American shows were “open to the public who came in their thousands, often paying for entry tickets”. Just like the Yeezy show by Kanye West at Madison Square Garden in New York on 11 Feb, 2016. Indeed, Evans writes that in September 1903, a two week event titled ‘The Fashion Show’ was held at Madison Square Garden, with live models parading in groups of three or four accompanied by a string orchestra. In 1908, the Wanamaker store began staging shows open to the general public. From the very beginning, there has been a tension between public and private. The book is so so good. But lets skip on, because I don’t want this to become a Wikipedia post on the history of the fashion show. For the first half of the twentieth century, it was the Paris couture shows that formed the basis for what could be called “the fashion system”. In 1951, the first Italian fashion shows took place in Florence, not Milan. The first shows attracted hundreds of American buyers and journalists, hungry for the optimism and glamour of an Italian look. Soon, Italian couturiers began to show in Rome. Disparate, shifting sands, with cities coming in and out of favour. That is the real heritage of “the fashion system”. Our present day idea of the shows, and the focusing of fashion on Paris, Milan, New York and London occurred at some point during the 1970s. As prêt-à-porter and ready-to-wear became industry mainstays. And the seasonal shows, with six months from catwalk to store, gave buyers the chance to place orders, and magazines the time to create shoots that feature the collections. Robin Givhan’s book The Battle of Versailles, about a November 1973 Paris show that brought American designers such as Oscar de la Renta and Stephen Burrows to show alongside Yves Saint Laurent and Emanuel Ungaro, shows the comparative strangeness of fashion shows within what is for some living memory. And yet “the fashion system” is talked about as something long consolidated. Before the invention of fashion TV, the shows were malleable. Fashion TV – Elsa Klensch on CNN from 1980, The Clothes Show on the BBC from 1986, Tim Blanks on Fashion File from 1989, Cindy Crawford on MTV’s House of Style from 1989 – made permanent the idea of the fashion show. To those growing up in the 80s, many of whom are now journalists (and I put my hand up here), it was through TV that an idea of what-a-show-should-be-like was formed. And it is against those ideas that many of today’s shows, and today’s systems, are judged. Here’s Elsa Klensch on Thierry Mugler’s 1988 show. Here’s Tim Blanks reporting on Gianni Versace’s spring 91 show. An episode of House of Style from 1992. TV coincided with the rise of the designer brands which now dominate: Armani, Versace, Calvin Klein, Ralph Lauren, Comme des Garçons, Vivienne Westwood. When TV started showing fashion in the early 80s, the notion of ready-to-wear was still incredibly new. And yet TV gave it substance, as if fashion had always been this way. TV coincided with, and helped to coalesce, the idea of “the fashion system”. The circuit of shows that provided content, as well as reason for employment, for fashion journalists. Because we have an idea ingrained from childhood of what the shows should be like from TV, that is how we think they should forever be. And yet it’s clear that the purpose, timing, scheduling and access to fashion shows has always been fluid. What’s happening right now isn’t a breakdown of some centuries old tradition. It’s the latest shift in and industry that profits from change. And lets note that this all written with the blinkers of the catwalk. The fashion industry loves to ignore or denigrate the more important shifts in fashion of the late 20th century – sneakers, sportswear etc – which has always been public-facing and about direct consumer engagement. Maybe because of racism within the fashion industry, or snobbishness. Maybe because it’s just that being public-facing made sense for the sneaker and sportswear brands. But it also raises the question: has this thirty-five year old “fashion system” always been broken, because for decades it shut out such a fundamentally important sector of the industry? Much of this talk about the breakdown of the fashion system is actually about fear. Fear from journalists because they are fearful of their future. Print is already in terminal decline. Now the industry they we write about seems to no longer need our presence. What’s the point of a fashion review in the world of “see now, buy now”? (I’m saying “we”, but actually I find these changes thrilling – I’ve long realised the purpose of fashion criticism is something wider and more engaging than just the rote reporting of what is presented on the catwalk). Fashion continues. Fashion has always been about more than just “the system”. We have to find a way to adapt with it, to understand it, and to report on it. And without letting nostaglia for the past mar an excitement about the future, whatever it may be.